Single-use water bottles have become a target for environmentalists concerned about the amount of petroleum required for each bottle and the massive amounts of waste generated from their short lives. But in recent years, companies have begun to use tossed-aside plastic in new and exciting ways. REPREVE, a sustainable fiber created from 100 percent food-quality and BPA-free post-consumer plastic, has opened up the door to give companies new options when sourcing eco-friendly materials. 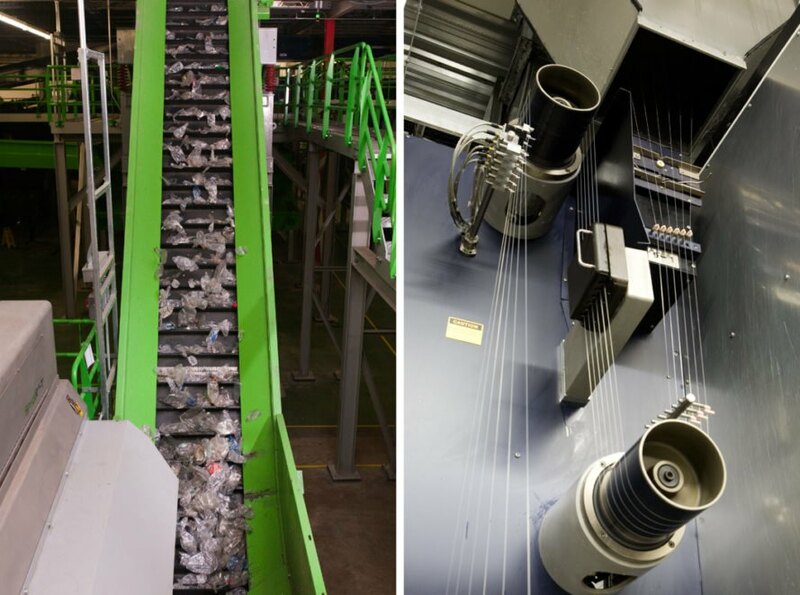 While using recycled fibers is not new in the manufacturing world, Unifi, a leading global textile solutions company and the producer of REPREVE, has refined a process that allows it to create multiple fibers from the same material including nylon, thread, polyester and other fibers. Unifi completes the water bottle-to-fabric process in a few stages. Beginning with the water bottles returned by consumers, Unifi transfers them to a modern bottle processing center where they keep a quarter of a million water bottles out of the waste stream each hour. 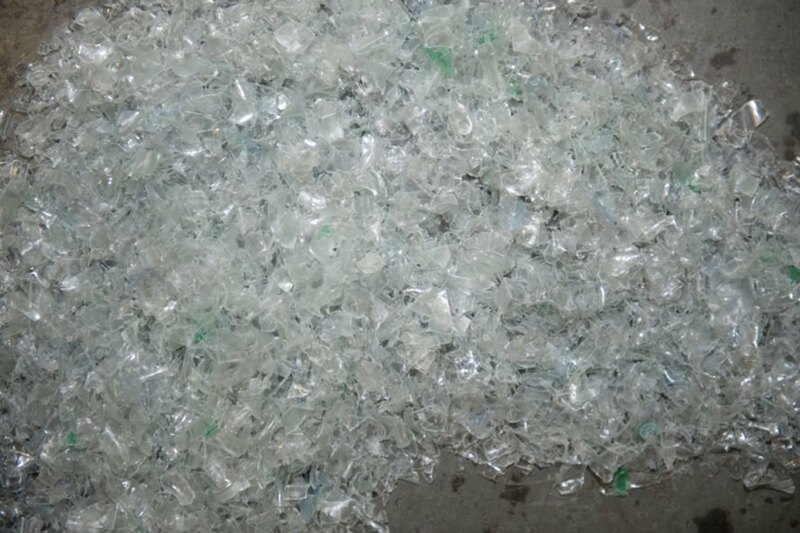 Once broken down into a fine material called flake, the flake is then sent to the REPREVE recycling center where it is blended, melted and turned into small chips that are stored onsite in large silos. Each silo holds the equivalent of 27 million water bottles. The manufacturing plant itself is dedicated to zero-waste production as well. Dozens of companies are on board with the idea of incorporating the REPREVE fibers into their products. Backpacks, socks, dog beds, cloth car seat covers, activewear, dress pants, jeans, swimwear, flags and heat wraps are just a few products donning the REPREVE symbol. Notable companies supporting the sustainable practices of REPREVE include PrAna, Patagonia, Roxy, Quicksilver, Lane Bryant, Fossil and Ford Motor Co. In fact, Unifi lists over 60 companies using its products on its website. This is no surprise, considering the versatility of the materials created through the process. “Unifi’s advanced performance technologies provide textile solutions like moisture wicking, stretch, water-repellency and enhanced softness. Our technologies can be combined with REPREVE to offer increased performance, comfort and style advantages, enabling customers to develop products that are good for the planet, plus truly perform, look and feel better,” said Kevin Hall, chairman and CEO of Unifi. “REPREVE® is an innovative brand of fibers, chip and flake that is made from 100 percent recycled materials, including plastic bottles,” Hall added. “REPREVE’s U Trust® Verification program is a comprehensive certification designed to provide customers with a higher level of transparency. Unifi’s proprietary FiberPrint® technology is used to analyze the fabric content and composition to determine if REPREVE is present and in the right amounts. REPREVE is also third party certified.” The company takes pride in a robust, full-cycle dedication to sustainability through obtaining the proper certifications. The Unifi REPREVE recycling center is located in Yadkinville, North Carolina. 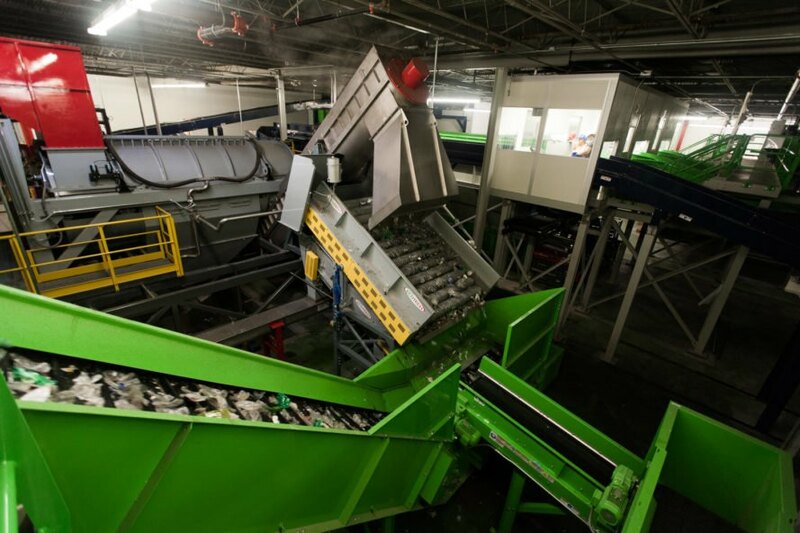 The REPREVE recycling center is a 150,000-square-foot, state-of-the-art processing facility. 75 million pounds of high-quality, clean flakes are turned into chips to be used in multi-use fabrics. 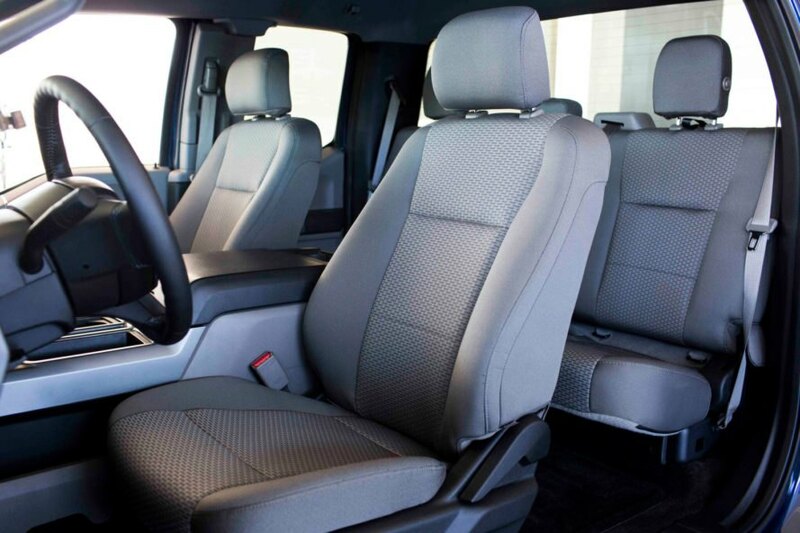 The Ford F-150 truck cloth seats are made from REPREVE yarn. 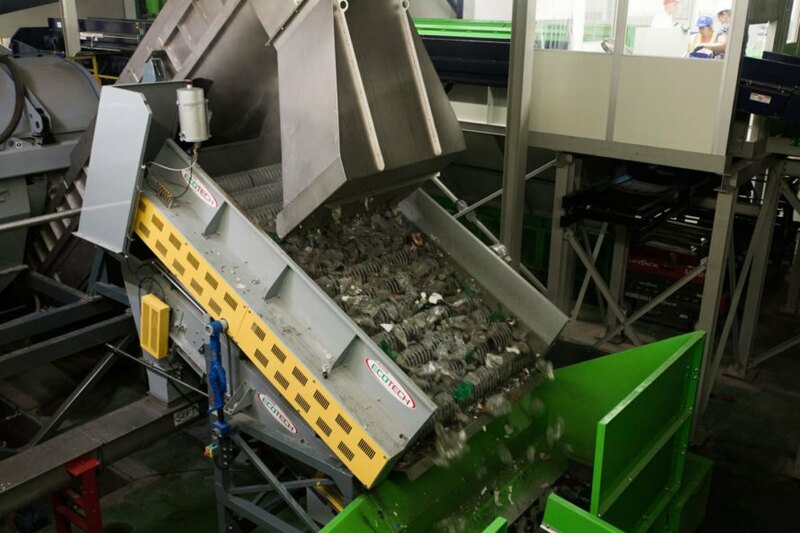 The Unifi processing plant keeps 250,000 bottles an hour out of waste streams. The center is able to process over 2.2 billion plastic bottles a year into recycled fabrics. 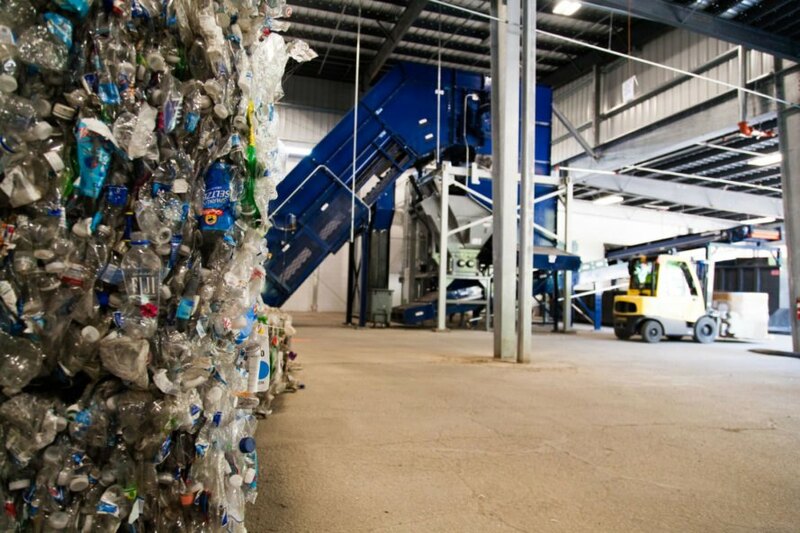 REPREVE recycling center processes recycled water bottles through various steps to reach fiber fabrics. Plastic bottles are made into REPREVE recycled polyester, nylon and staple fibers. Each REPREVE recycling center silo stores one million pounds of recycled chips.